The park is home to many of nature's wonders, so bring your bike or feet to hike. 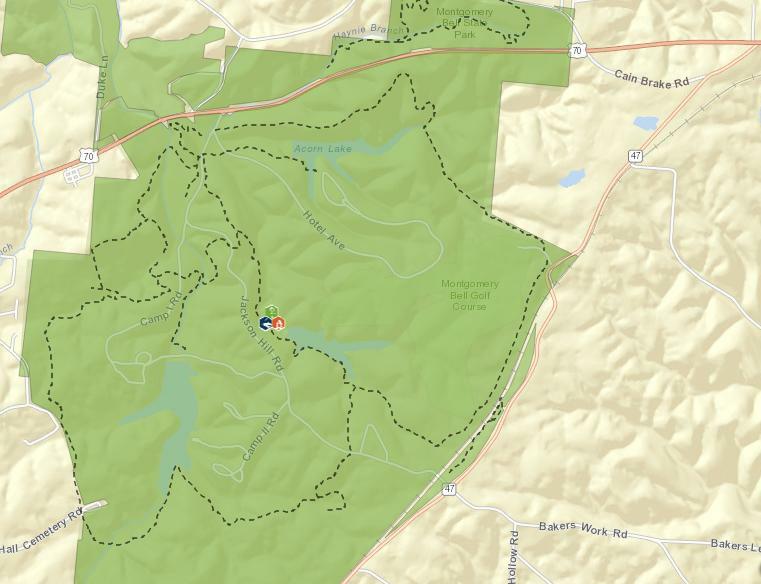 A map of the hiking trails is offered below or click the word hike. More general information about this park and all State Parks can be achieved by clicking the words Montgomery Bell State Park above. ​We are fortunate to have access to the lake and canoes are available to rent, but if you have one, bring it. Just give the fisherfolk a wide berth. Don't forget this is where Ernest went to camp!